In today’s world of culinary, fusion between Chinese and Western dishes have taken over by storm. 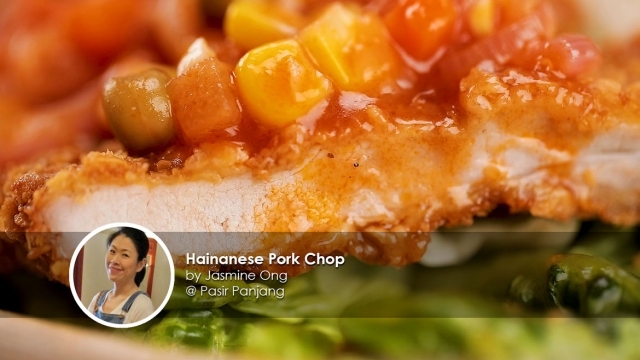 And here we have a well-loved recipe to share with you - Hainanese Pork Chop, brought to you by Home cook Jasmine Ong. A delightful indulgence perfect for the weekend. 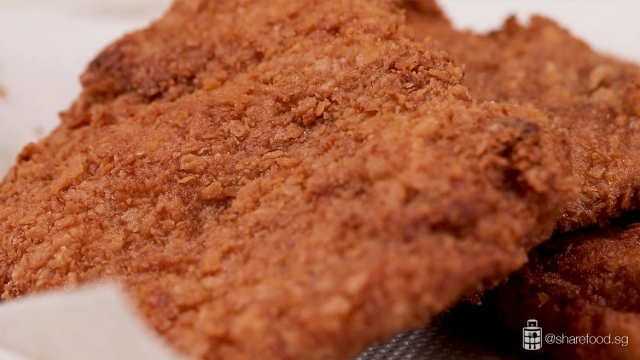 The pork chop is crispy on the outside and tender on the inside. Drizzled with the tomato-based gravy and mixed vegetables, it makes the dish more appetising and enhances the texture in every bite. These are the ingredients that you will need for the pork marinade and coating: pork loin, corn starch, five spice powder, white pepper, fermented bean, sugar, sesame oil, garlic, cream crackers and eggs. 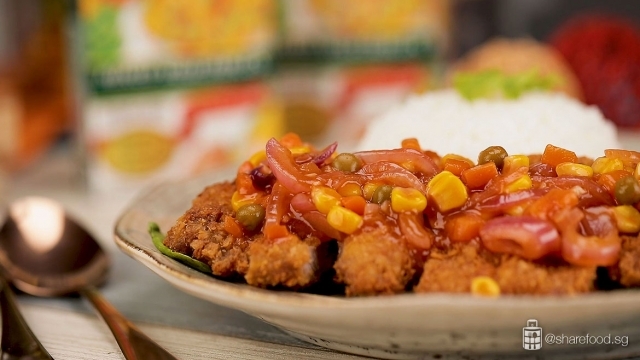 For the sauce, do prepare Del Monte mixed vegetables, onion, garlic, white pepper, Del Monte ketchup sauce, worcestershire sauce, sugar, chicken stock powder and corn flour mixture. Let's start off by marinating the pork first. Butterfly the pork vertically to tenderise the meat. Place the meat in a bowl and add in all the seasoning and transfer to the chiller to marinade. After marinating, take the meat out from the chiller. Remove visible pieces of the fermented bean so that it will not be too salty when you consume it. Next, pour the beaten egg over the meat and coat it evenly. Then, coat the meat with crushed crackers and set aside. Proceed to heat up oil in a wok. Here's a tiny tip! To test if the oil is ready, dip a wooden chopstick into the oil. If bubbles form around the chopstick, it's time to start frying! Fry the meat one by one until it turns golden brown. Then, remove from the wok and set aside on a plate lined with kitchen towel. Next, heat up the frying pan with oil to cook the gravy. Add in garlic and onion and stir fry till fragrant before combining Del Monte mixed vegetables into the pan. 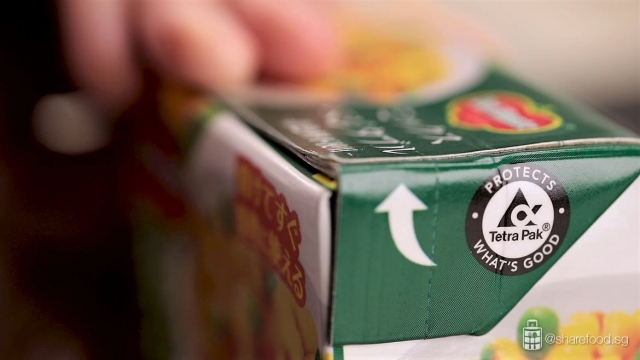 Did you know that Del Monte mixed vegetable comes in a convenient tetra pack? Simply tear along the perforated line on the packaging! What’s even better is that there are no added preservatives nor artificial colouring! Proceed to mix in the seasoning and let it simmer. To thicken the sauce, add in some corn flour mixture and mix well. It's time to serve! Scoop rice on a plate and arrange the pork slices. Pour the sauce over the meat or you can serve it separately. There you go! An all-time favourite - Hainanese Pork Chop. Enjoy these while it's piping hot. 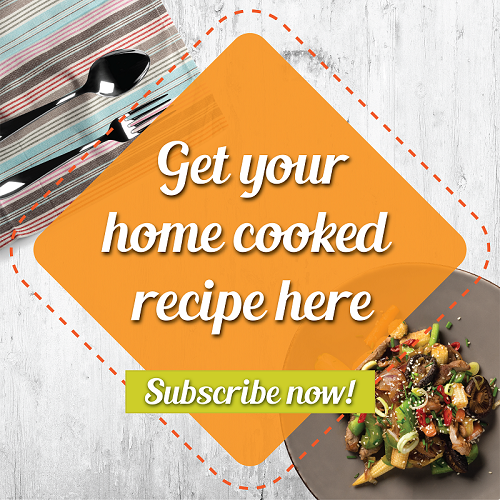 Remember to share this recipe with your loved ones and let us know what you think! Butterfly the pork. 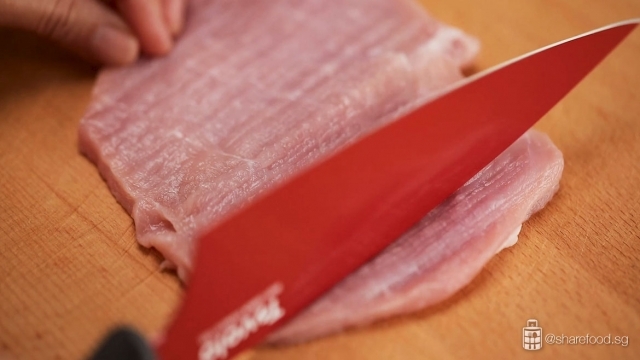 Use the back of the knife to pound both sides of the meat vertically to tenderise the meat. Place the meat in a bowl and add in all the seasoning. Mix it evenly, cling wrap and transfer to the chiller to marinate for at least 1 hr. Take the meat out from the chiller and leave it in room temperature for 20 mins. #Tip: This will allow the meat to be cooked thoroughly. Remove visible pieces of fermented bean on the meat which can be quite salty. Pour the beaten egg over the meat. Coat it evenly. Coat the meat with the crushed cracker. Set aside. In a wok, heat up 800ml oil. #Tip: To test whether the oil is ready, dip a wooden chopstick into the middle of the oil. The oil is ready when bubbles are formed on the chopstick. Fry the meat one by one, till it’s golden brown. Remove from wok, set aside on a plate lined with kitchen towel. Heat up the frying pan with 1 tbsp oil. Add in garlic and onion, stir fry till fragrant. Add in Del Monte mixed vegetables and stir fry for 1 min. Add in the seasoning except for the corn flour mixture. Mix well and let it simmer for 3 mins. Scoop rice on a plate. Arrange the pork slices. Spoon sauce over. The sauce can also be served separately.